That’s the mantra running through Sebastian Castellanos’ mind. Plagued by memories of the daughter he couldn’t save and a mystery he could never solve, he begins to lose himself in his past mistakes. Sebastian lives out his nightmares every day, unable to pull himself from his downward spiral. Until an old friend-turned-traitor reenters his life with an offer: Return to the nightmare and save your daughter. The Evil Within 2 gives a broken man the chance to make things right and find the peace he so deserves, but he’ll have to go through hell first. It’s a race against time for Sebastian as he fights to survive and find Lily before she’s lost forever in a crumbling STEM world. As he searches, he is haunted by the ghosts of his past and his own insecurities, but he never loses hope. Determined to save Lily, Sebastian will travel to the depths of this new STEM world and face off against anything it throws at him. Of course, how he goes about his mission is completely up to you. 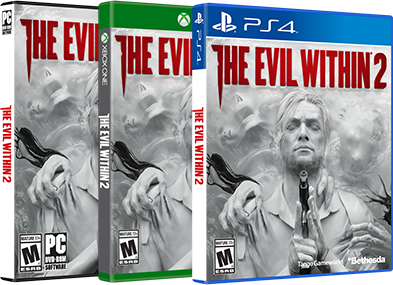 In The Evil Within 2, you are free to explore as much or as little as you choose, and upgrade your weapons and yourself accordingly. Do you prefer a stealthy approach, complete with setting traps and sneaking around threats in your path? Or would you rather go in guns blazing and take down anything that dares to stand between you and Lily? Or, perhaps, you’ll mix and match gameplay styles to suit your mood. Provided you can scrounge up the resources, you can play the game however you see fit. As you explore the world, you’ll be able to follow side quests, track down supply caches for those much-needed resources, and uncover clues that could help you solve the mystery of Mobius and STEM. 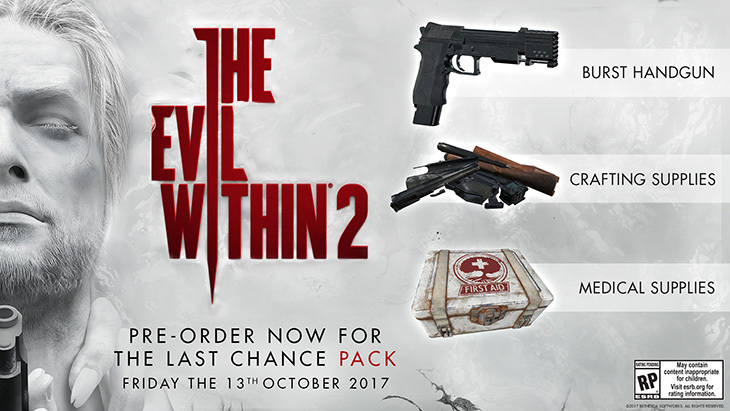 The Evil Within 2 will be available on PS4, Xbox One and PC this October on Friday the 13th.